Why your favorite restaurants are not using Postmates and other delivery services. Several of our restaurant clients have had terrible experiences with various food delivery services. 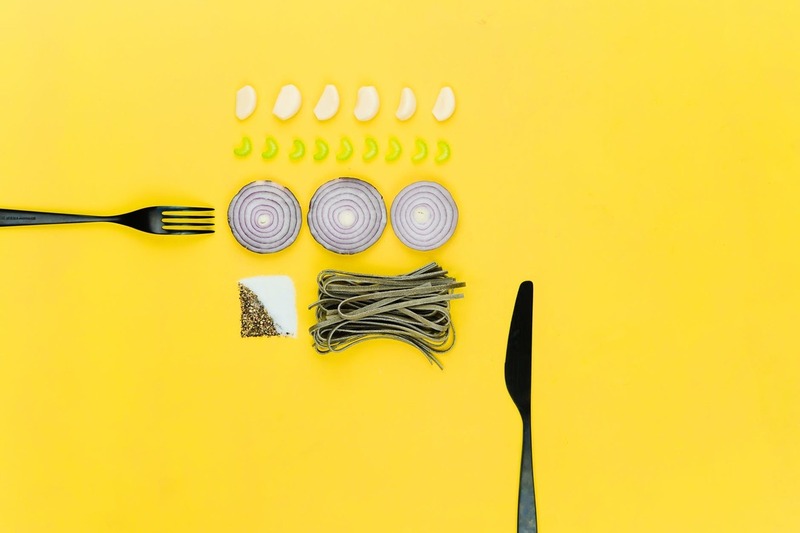 Here's an inside look at the reason some of your favorite restaurants are not participating in UBEReats, GrubHub, Postmates, etc., as well as some solutions YOU can use as a consumer. There is a lot more involved in proper delivery of our menu items. 1) The fleet needs to be prepared to immediately exit the premises and drive directly to the diner's location. We have experienced drivers from various services getting comfortable at the bar, and delaying their deliveries. 2) Based on the Yelp reviews we have received from diners who received their meals from delivery services like Postmates, other events are happening between our restaurant and the food's destination. I'm not sure what events this could entail, but it is not conducive to our customers' expectations. 3) The other problem is tipping. Our hard-working staff has no incentive to service delivered meals, and in fact, is often penalized for it. The IRS withholds based on the total sales, not on the total tips. So, a delivered sale will be taxed as if the server is receiving a full tip, but in reality, the tips are often small--as consumers don't understand the extra work involved in packing a to-go meal, and it's being split with the driver. Educate consumers on tipping practices for delivered meals. Allow restaurant owners to provide training to drivers; only allow specifically trained drivers to service higher ranked restaurants. Create a policy an educational campaign about Yelp/Google reviews. Disallow users to continue to use your services if they post a 1-star review without going through the preferred channels first: talking to the delivery service, talking to the restaurant, etc. to seek a solution. It is because of these poor reviews from "delivery" customers that we cannot risk the damage of continuing with the service. Our in-house guests are extremely happy, and we want to give them preferential treatment in response to their 4 and 5 star reviews. Every negative review takes our time and attention away from our patrons who are loyal enough to drive to our destination. Our hope is that Postmates will take this feedback seriously and enact immediate changes. If your system changes, please let us know! We would be happy to reconsider participating in your platform. Recently, a not for profit organization had a change of Directors. This change was not foreseen as the Director was diagnosed with a terminal condition that quickly took her life. The organization failed to keep a record of passwords and other pertinent information that were necessary to edit their website, check email messages and access bank and credit card information. The Director probably had all that information saved somewhere, but where? So not only was the organization suddenly scrambling to keep up on the day to day activities the Director had been doing, they also found themselves in the dark as it related to all the technology that had been part of the organization. That is one reason to make sure the organization's website has a maintenance plan with your web designer. Some businesses try to save a few dollars by having a staff person manage their website. Every owner or board of directors should consider engaging their web company to maintain the site and keep access for edits and changes even if the employee is making some edits. That is like an insurance policy against having an employee quit or otherwise leave the business wondering how to manage the site without them. At the bare minimum, a hosting and maintenance plan should be included with your web company. There is no doubt that how we do business has changed dramatically since the world wide web presented itself. We have seen the demise of brick and mortar businesses all across our country. The last Blockbuster Movie store just closed as a good example. Changes in how we buy goods and services have impacted the traditional process. How we find companies to do business with has changed as well. Phone books and Yellow Pages have been replaced with web domains. Almost every business has some level of web presence these days if they want to stay viable. When the time comes to sell a business, owners should consider part of the value of their company is their web presence. It is just as much an asset as inventory and real estate. That being the case, business owners that are thinking of selling should invest some effort in making sure their website is current and valuable and can be demonstrated as a generator of revenue. Some web designers do much more than host a site. Search Engine Optimization (SEO) efforts are a good example of additional services that drive traffic and attract sales. Social media posts and ads directed to a target market can be shown to prospective buyers that your business is viable and current with today's marketing strategies. A discussion with the web hosting company should be part of the selling process to determine what is owned and if there are any contractual arrangements that would prevent a new owner from assuming the website terms and conditions. Your website can be modified to include a "hidden" page that can be shown to prospective buyers that give information not visible to the public that could include sales helps such as a history of revenues, profitability, cost of goods, recent evaluations of inventory, real estate holdings, etc. 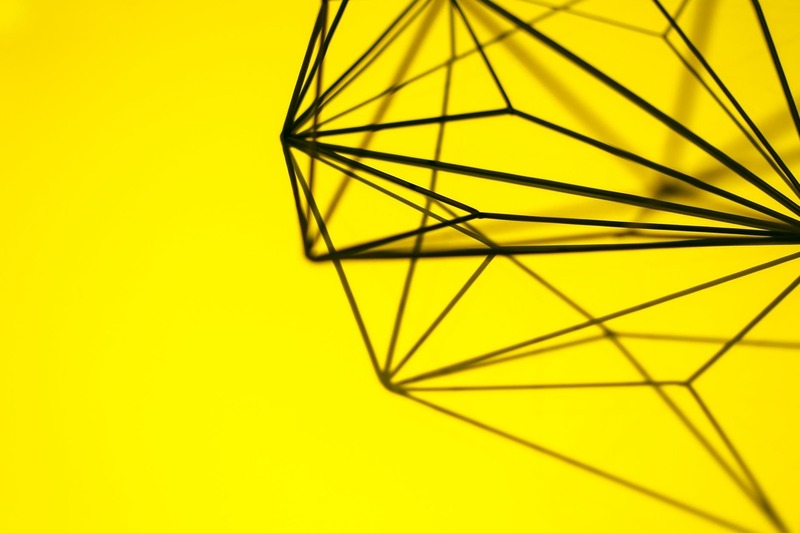 Tapping into the full potential of a website includes working with your web team to promote the value not only of your products and services, but your business as well. If Facebook ads and Print ads were in a competition, Facebook ads would win almost every time. 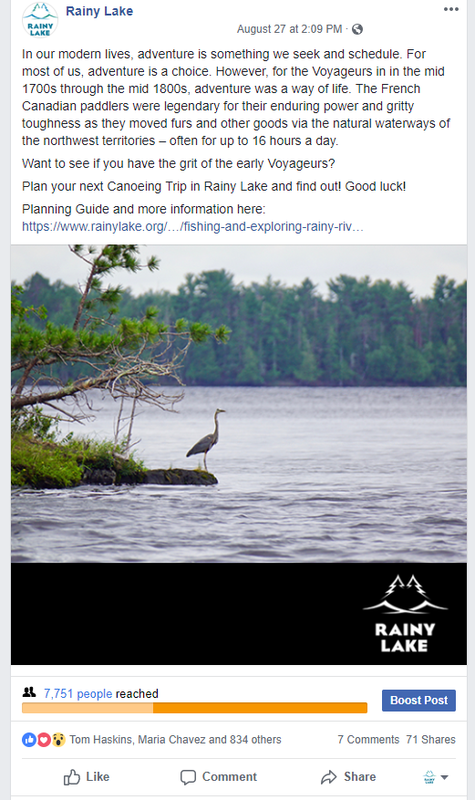 We can target people on Facebook who are fans of "Explore Minnesota Tourism." Just in the last week we have reached 3271 people in the United States who have expressed interest in "Explore Minnesota Tourism." From August 27-September 6 we reached over 5000 people. We have received engagement (a Like, Comment, Share, or Click-through to the website) from over 900 of those people. The hard Facebook ad cost of reaching this captive audience was just: $49.86. We have the potential to reach 180,000 people on Facebook who are interested in visiting Minnesota. The circulation of the Explore MN magazine is only 32,750 households. Our daily reach is estimated at 300-1700 people, based on effectiveness of the ad and the ad budget. It takes more than just the Facebook ad budget to make an ad successful. Each ad requires: copy, a graphic and photo, and a Call to Action. Each ad also needs to be carefully watched each day. Fans need to be engaged with. Questions need to be answered, etc. Fans also need to be invited to become permanent fans of the page. This takes time and resources. Not every ad is successful. But it only takes a few dollars or a few hours to see if an ad is working or not. The most exciting thing about Facebook ads, is that putting money into it is like putting money into an investment portfolio. Every time we run an ad campaign, we see a gradual increase in Page Likes or Fans. Once we have a Fan, we can more easily reach him/her with organic posts and paid posts. We started the summer off with 10,500 Fans, and increased that number by 100 each month--June, July and August--we're winning people over for years to come! The Facebook Page's Fan base is roughly 1/3 of the Explore MN Magazine Ad circulation. If we could use the magazine budget of $925 for their smallest ad (1/6 page), we could potentially reach as many as 9000 people A DAY. With their largest ad budget of $3300, we could potentially reach 32,000 people A DAY. Going into Fall and Winter, this is the time to build our Fan Base, so we can remind them monthly to start planning their Summer Vacation in Rainy Lake!! Let me know if you want to reroute your Print Ad Budget to more Facebook Ad Campaigns! Instagram: Please wait a few minutes before you try again. Must access email from phone. Be logged into your related Instagram account before clicking the confirm button. Do I qualify to have an amazing web design experience? 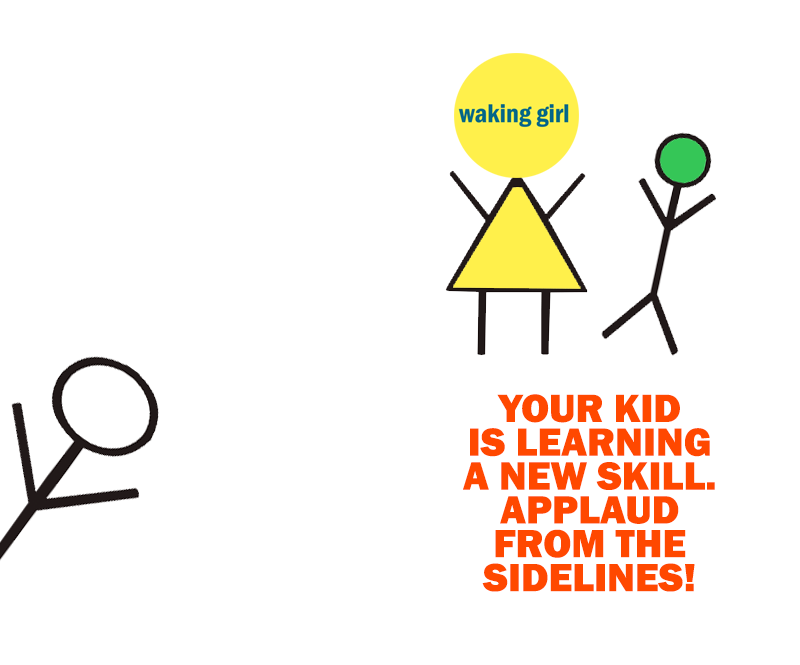 When Waking Girl first started, we said YES to every customer who came through our door. Whether the project or client fit us or not, we made it work. Now, with a full clientele, we are limited on how much time we can dedicate to a client who struggles to be successful with us. We believe a business does not need a website to sell products or services. While a website can greatly increase sales and credibility, early deals and relationships can occur offline. Our most successful clients made their early transactions before ever having a website. We have found that many new business owners rely solely on their websites to generate sales. It is important to use multiple avenues to sell products and services, especially at the beginning stages of a business. 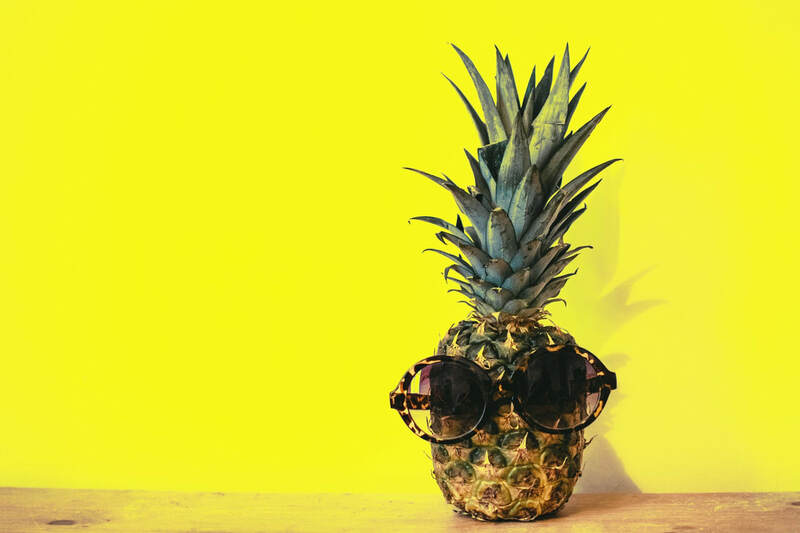 We see business owners fail in their websites because they are more focused on making the website perfectly match their favorite color, than making it bring in $ales. This is a mistake! When clients follow our design direction, they generally see an immediate increase in sales and leads. Why? We have developed a method that make it easy for your customers to reach you! Impress customers: studies continue to show that impressive websites don't always bring in new customers and sales. We want you to be proud of your website, but we also want your company to be approachable. Display logo and brand: yes, we want to display your logo and brand. This goal is secondary to generating leads and sales. Reduce my taxes: yes! Your website is a business expense! We love helping you reduce your tax burden! Intuition: can be super helpful. Let us know what your gut is telling you. Business partner and/or staff: can be super helpful, but can also be distracting. Ask abstract questions of business partners, staff, family early in the process, like, "How do you want to feel when you visit our website? How do you want our new customers to feel when they visit the website?" Avoid specifics about design elements, colors, etc. Articles: can be super helpful, but can also come across like you're micro-managing your web design team. Q. A website is like a car and needs regular refueling and maintenance. We believe a website is like a car and needs regular refueling and maintenance. Absolutely, yes! The trends of the web are changing faster than the rules of the road--and a website needs to be able to keep up. We utilize platforms and strategies that allow for easy updates and full site overhauls as the technological demands of a website, company and The Internet change. Q. A business will fail if any piece of it is not running perfectly at all times. We believe that growing companies do have a few failing pieces at any given time. Only the companies that have become stagnant have perfection in all areas of the business. To grow requires some trial and error. We access the knowledge base of hundreds of business owners to mitigate the risk of failure for our clients and decrease the time it takes to correct an error. We love working with growing businesses. Programs also available for $1000/week website marketing budgets! We believe it's important to have a budget for your website. While it doesn't need to be a major expenditure, a small, monthly amount of at least $100 can really help a website keep up with the changes in technology. We strive to work with companies that we can help, by taking "web presence" off the plate of the CEO. We are a full-service agency and can handle everything from website rebuilds to maintenance to SEO and Facebook presence. Do you qualify? We would love to hear more about your website--what's working for you now, what's not working; what's frustrating, and what about Waking Girl prompted you to reach out? Should I advertise on Yelp? Q. I'm getting a lot of phone calls from Yelp, telling me that I'm missing out on business. What should I do? A. My number one rule in sales is: if the company requires a team of cold callers, their product deserves skepticism and hesitation. It might be the best product in the world, it might be so good that everyone who finds out about it just wants to hog the filthy little secret to themselves. Or -- it's just not worth talking about. Either way, when you get a call from Yelp or any other cold caller, take a step back and get some expert input from someone who has dealt with the caller before. 1) Do you have a Yelp page? Have you claimed it? Let's start there. That's free and takes about 15 minutes of your time. Go to Yelp.com, find your business, and hit UNCLAIMED. Follow the steps to set up your business Yelp account (different from your personal Yelp account). 2) Have you ever gotten a Yelp review before? Hrmm. Depending on your industry, Yelp may not be an integral part of your business. If you haven't gotten a review before, it may not even be integral to your own success. But of course, it might be crucial for your business' next phase of development! 3) Before advertising on Yelp, it's a good idea to drum up some 5-star reviews. But how!? We recommend and sell a software that helps you better communicate with your existing customers so they know how to leave a review, and so they won't forget! If you can't track down any 5-star reviews, you may want to rethink advertising on Yelp. Why? People who shop on Yelp also leave reviews. If the Yelp-iverse isn't jiving with your services--be cautious! Might need to change how things are operating before bringing on the critical masses! 4) Once you have a handful of positive reviews, and you've gotten comfortable with Yelpers, now you can consider advertising with Yelp. Ask the Yelp representative a lot of questions about cost per lead and overall traffic, and what is the competition doing. If you sell $5 drinks, and the lead cost is $10--this is not a good idea. If you sell $200 services, and the lead cost is $14--this could make sense!! - Start with the smallest plan available to test the waters. Ask for a discount, and ask them to start the ads before the billing cycle begins. - Make sure your Yelp page is set up properly with nice photos. - Download the Yelp app to your phone so you can respond to questions right away. - Set up an enticing offer so you get noticed! - Evaluate each month to make sure you're getting your money's worth! By now you've all heard about the incident at HUG High School. There was a student with a knife. Campus police disarmed the student by shooting him in the shoulder. But wait! The date on this post is December 5, and the actual event happened on December 7. 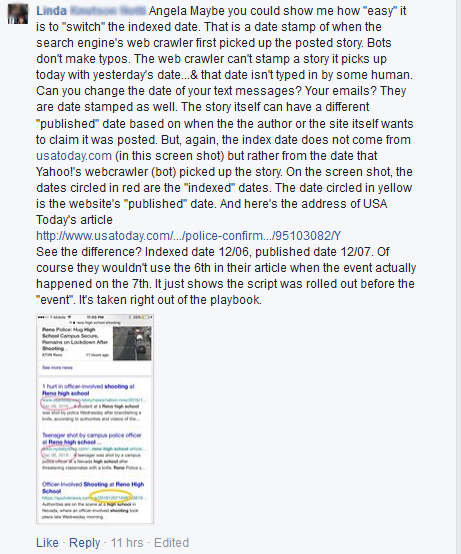 And Linda from Facebook claims the event was planned for the 6th, and the media prepared for a big conspiratorial showdown. Web designers modify dates on the web all the time. We backdate social media posts, blog posts, and any assignments that were supposed to be completed by a certain deadline. We can even modify the dates of an email (it's tricky and not sustainable, but yes, it can be done). Web developers have the power to time travel. The media has certainly given us enough evidence to think that everything they pump out is a massive lie, but in this case, we're just seeing journalists take advantage of Google's indexing rules. Most likely the news websites prepare the framework for "Today's Hottest" article in advance (just like they do with the paper version). They don't know what's going into that slot when they prepare the framework, they just know that the hottest story is going there. The date can be manipulated so that Google recognizes that story as "the story that broke first" and other journalists will refer to that story as the "seed" article and draw from it. That's just media strategy. Not conspiracy. When in doubt, ask your neighborhood web designer! She'll be the first to join you in the bunker if something is truly amiss. What is the difference between my Facebook account and Fan page? Many business owners run into some confusion when it comes to setting up and managing their Business Fan page. Let's break it down into easier to understand concepts! Your Facebook account is like YOU. It's unique to you, and no one is supposed to use your identity except you. Just like your face and signature give you power over many things in the real world (your bank account, your kid's school, the DMV)--your Facebook account acts like your personal, verified signature and can give you access to many different online accounts. Your Business Fan Page is something completely different. It might belong to you, you might have the ultimate say over it, but--teachers, nannies and other individuals can manage it. Yes, it's just like your child. When giving access to your Fan page, we don't need your personal account information. That's like giving away your social security number--and should only be done in dire circumstances!! 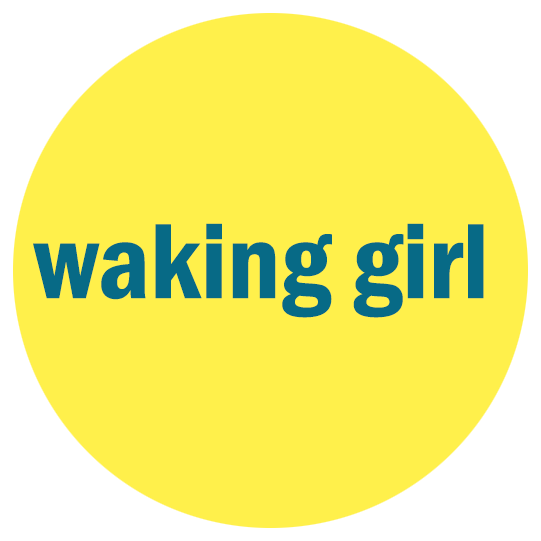 Waking Girl handles Business Fan Pages for many of its clients. Just like with a baby-sitter, there is a protocol for assigning responsibilities to care for your kid. Give us the keys to your house, NOT the rights to your identity. We are not looking to adopt your baby. Often times we learn that a client has two Personal Facebook accounts. That is the Facebook equivalent of masquerading with a stolen identity and fake ID. This can get BOTH of your accounts shut down, and can even alert child protective services to remove the rights to your metaphorical kid!!!!!! Should I be panicking right now?! You might be asking ^. Nah, it's just Facebook. It's not THAT serious! Delete any extra Personal accounts you might have. The Personal account is what you use your email address and password to access. Delete the one with fewer friends, or the one you use least. Give Admin access to Waking Girl to handle your Business Fan Page (these protocols are constantly changing; ask for the latest instructions). Stand back and applaud! When a nanny or teacher is teaching etiquette or French to your kid--you want to let them do it without interference. The best way to be supportive is to Share the great things that are happening with your kid to your Personal wall (like posting pictures on your refrigerator!). There are other ways to be supportive; ask for specific instructions, unique to your industry! Once your kid or Fan page are behaving--you can take over the day to day operations. Observe and make a list of questions. How can I expedite my online marketing through blogging? ​Question: How can I expedite my online marketing through blogging? We received this question from a client that writes hefty proposals for multi-million dollar government contracts. When we realized that the client is an avid writer (they write proposals that dwarf most John Grisham books), we gave them the instructions on how to get writing, and GET RESULTS! BLOG location (have a hidden page on your site, named something other than BLOG). Include a call to action and byline at the bottom of each blog post. Assume that people reading these posts will be meeting you for the FIRST TIME through this article. Categories: in Weebly, when you're posting a blog, you'll see Post Options to the Left. Click on it for Categories. Each blog post needs at least 2 categories (we have already seeded the blog with some of our favorites). This is hot Google Juice right here. Categories should be keywords or key phrases (Government Contract, Contracts for Banks, Reno, San Francisco, New York). You can also use Categories LIKE A File-Foldering BOSS, as they were intended: Articles, Training Tutorial, Case Studies, Press, Anecdotes, etc. (some of my clients categorize the truly BLOGGY items as Blog--this allows us to direct people to the BLOG without showing them all the SEO magic). DON'T WRITE DIRECTLY IN WEEBLY. Because technology. DO: Check with your local government entity for help with your business proposal identification number. DON'T: Check with reno.com for help with your thing by going to sba.gov. Date: back date these so you don't actually look like a crazy person. Space them out over the last 6-12 months. Now that you have your content ^, you can send it out to the masses. We are a content consulting company specializing in new business proposals. Our staff of writing, graphic design, and subject matter professionals work side by side with you to craft and price winning solutions. I had a lot of fun writing this article on the Top 10 Tips for Talking Trash. Somebody dared me to do it, and I did. And it was awesome. You'll never believe #7. This is a must-read for business owners in the construction industry. Tag your construction owner friends (or just print it out and mail it to them, because they're not on Facebook). START THERE- and let us know how we can help!